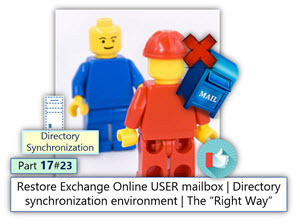 In the current article, we provide the step by step instructions, for resolving a typical Exchange Online mailbox restore mistake, in Office 365 Directory synchronization environment. 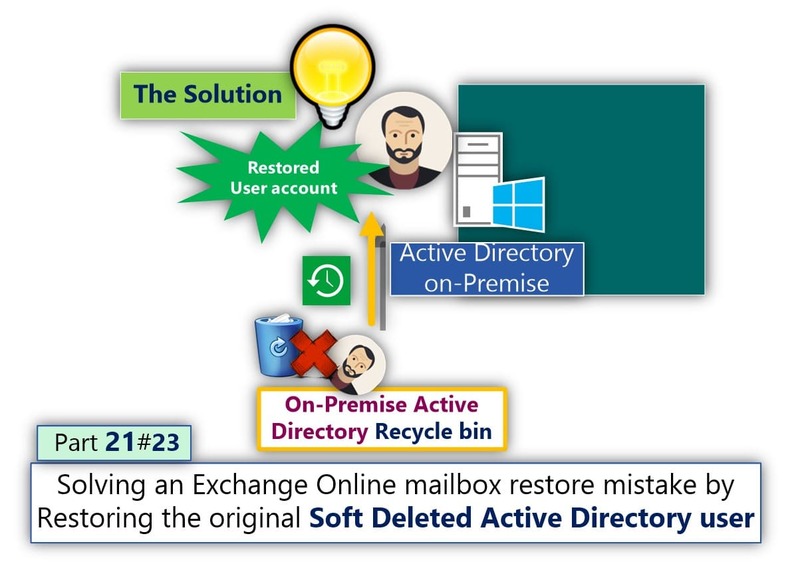 The Mailbox restore mistake is realized by – restoring Soft Deleted Office 365 user account, instead of restoring the original Soft Deleted On-Premise Active Directory user account. The proposed solution – is based on a concept of – “Encourage” the Directory Synchronization SOFT Match process by deleting the Office 365 user ImmutableID value. 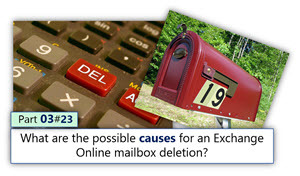 In our scenario Exchange, Online mailbox deleted because of an event in which an On-Premise Active Directory user account deleted. 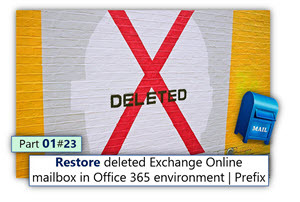 The Soft Deleted Office 365 user account restored, and the Exchange Online mailbox that “attached” to the Office 365 user account. A NEW On-Premise Active Directory user who is seemingly identical details as the deleted user account created and the information is synchronized to the Office 365 Directory. The trick implemented by removing the ImmutableID value from the Soft Deleted Office 365 user account. I know that at the current time the description of the problem and the description of the solution, seems a little vague but, have patience, it turns out later. 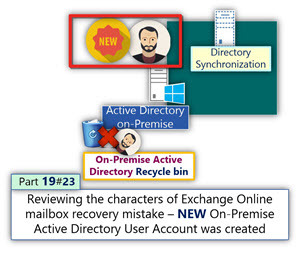 What are the characters of the “Wrong Exchange Online Mailbox Recovery Operation” in which a NEW Active Directory user account is created? On-Premise Active Directory user account named Nicki (which his login name is [email protected]) deleted (number 1). The result is, that the Nicki Office 365 user account that “bound” to the Nicki deleted On-Premise Active Directory user account”, also deleted (number 3). When Nicki Office 365 user account deleted, the Exchange Online license that assigned to Nicki Office 365 user account, removed (deleted) (number 3). 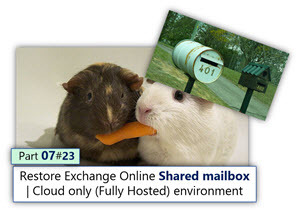 When Exchange Online gets the information about the fact that the Nicki Exchange Online license removed, Exchange Online deletes the Nicki Exchange Online mailbox (number 4). 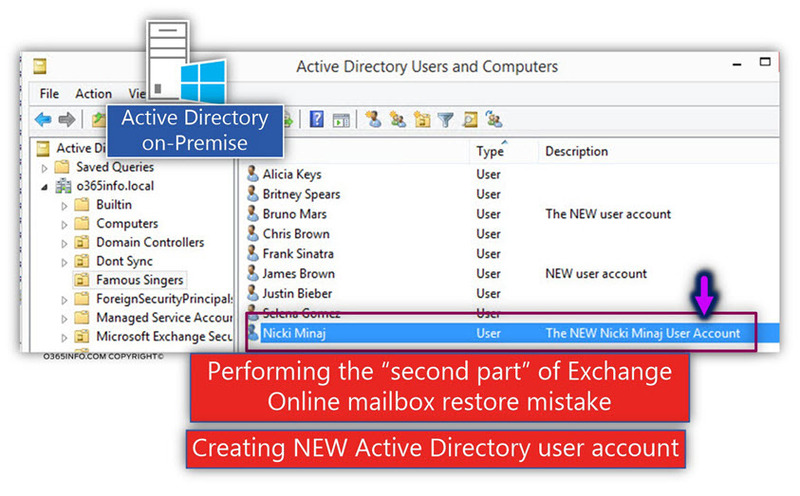 The Administrator, got a request to – recover Nicki Exchange Online deleted mailbox, and enable Nicki to access his restored Exchange Online mailbox. 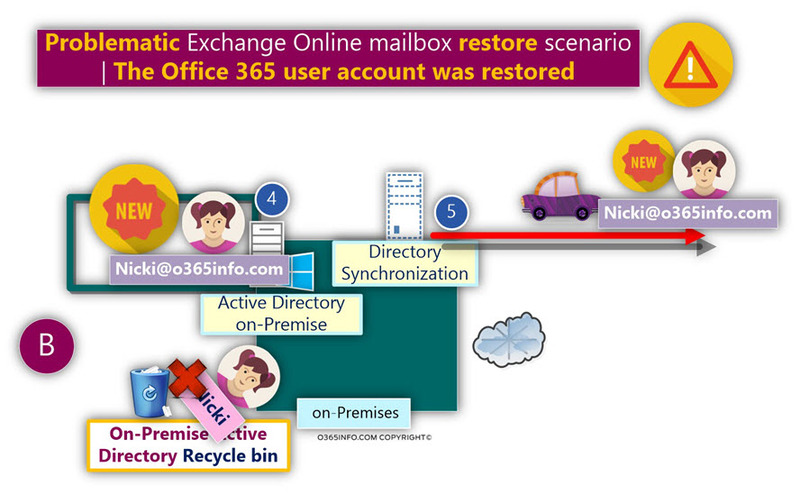 The “right” restore process supposed to start with – recovering Nicki Soft Deleted On-Premise Active Directory user account, and the rest of the Exchange Online mailbox recovery steps were supposed to “roll along” automatically. Office 365 admin center offers a user-friendly management interface that enables us to perform various tasks. 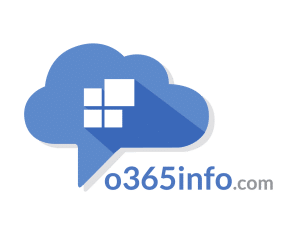 For example, restoring Soft Deleted Office 365 user account is an easy and simple process, when using the Office 365 admin center versus, the On-Premise Active Directory interface, that can consider as more complicated or less easy to use. 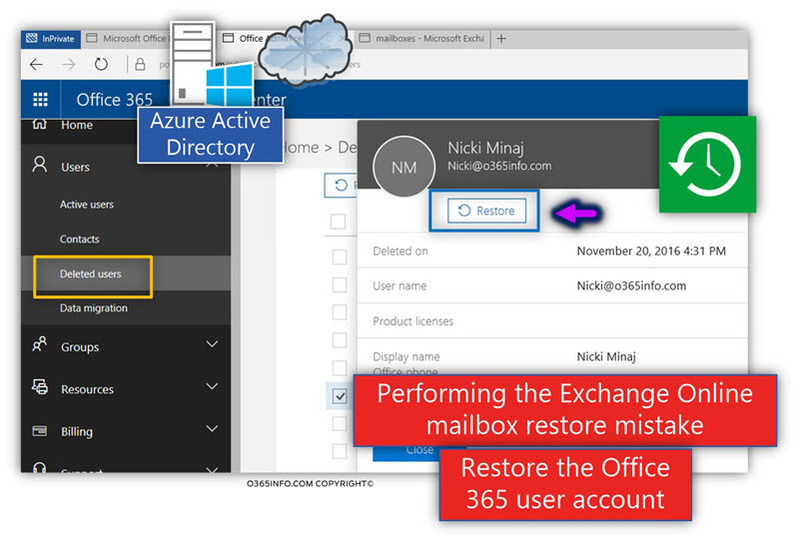 Restore Nicki Soft Deleted Office 365 user account. 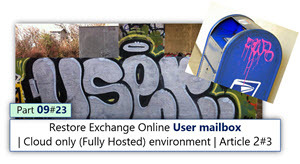 The restore process should also restore the Exchange Online license that assigned to Nicki Soft Deleted user account. 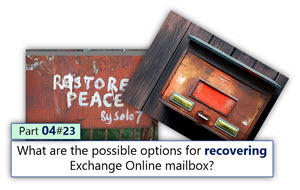 When Nicki Exchange Online license is restored, the Exchange Online mailbox will also be restored. 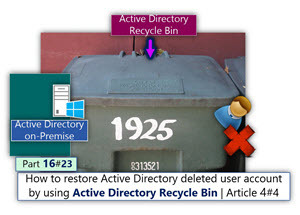 Activating the Directory synchronization process, and synchronize the information about the “recovered” Nicki On-Premise Active Directory user account to – Office 365 Directory (Azure Active Directory). The Administrator underlying assumption was, that when the Directory synchronization process will run, the mechanism of Soft Match will be automatically executed. 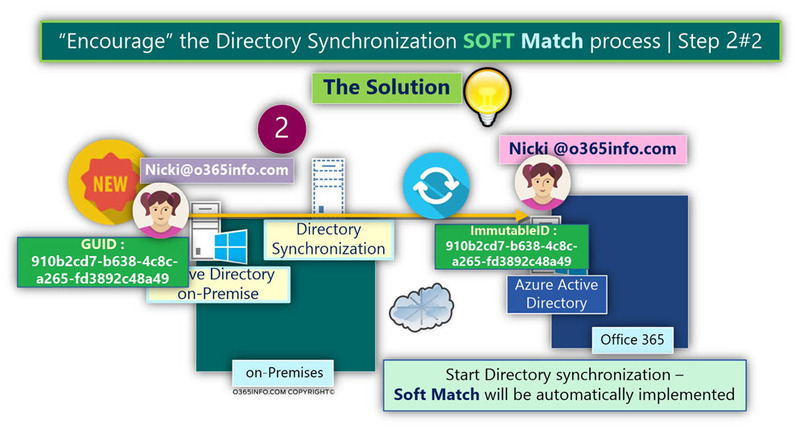 Th expected result was that the Directory Synchronization Soft Match mechanism, will “bind together”, the NEW Nicki On-Premise Active Directory user account, with the Azure Active Directory – Soft Deleted Nicki’s user account, because they have the same user login name and the same E-mail address. Nicki Office 365 user account successfully restored + Nicki Exchange Online license. 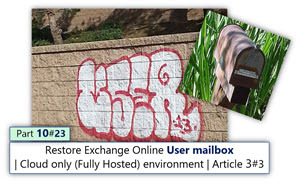 Nicki Exchange Online mailbox successfully restored. Nicki Office 365 user account status changed to “in cloud” instead of the former status – synced with Active Directory. In other words, Nicki user account is not considered anymore as “synced user account”. Nicki Office 365 user account is deleted along with Nicki Exchange Online license. 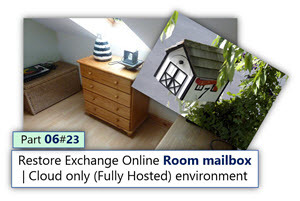 Nicki Exchange Online mailbox is deleted. The reason for this strange phenomenon is a “collision” between Nicki On-Premise Active Directory NEW user account and Nicki Office 365 user account that restored because booth of the user accounts has the same login name and the same E-mail address ([email protected]). 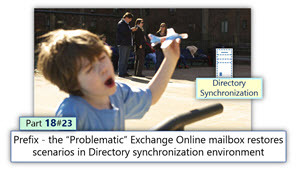 The “responsible” element for this “strange behavior” is the Directory synchronization server (Azure AD Connect). 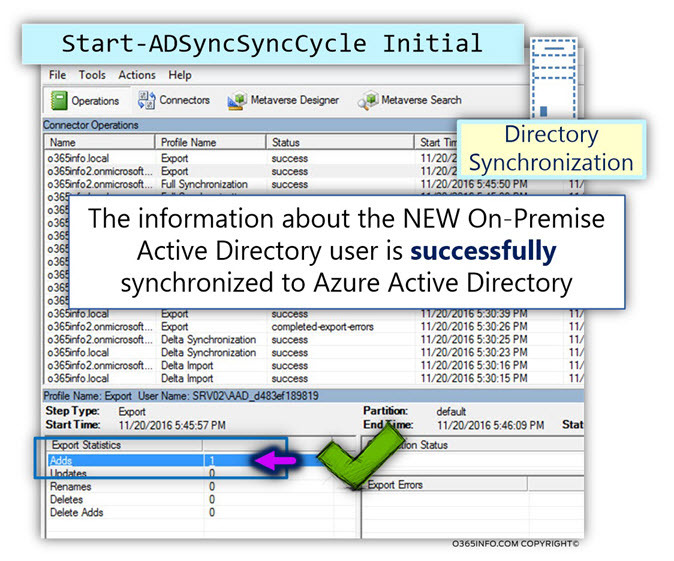 Instead of reporting about a failed synchronization process, the Directory synchronization server (Azure AD Connect) “instruct” Azure Active Directory to delete the Office 365 user account. 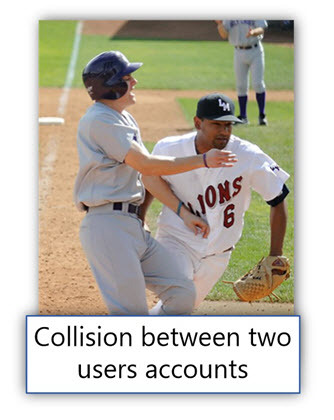 This “problem” will probably be fixed in the future so, the Directory synchronization server (Azure AD connects) will just report about a collision between two users accounts instead of deleting the Office 365 user account. 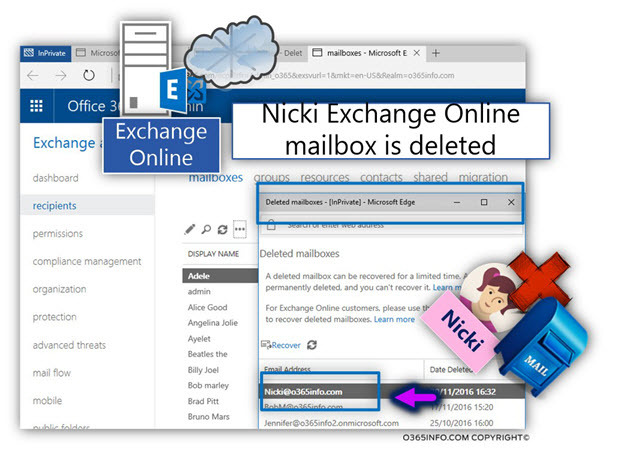 Nicki cannot access her Exchange Online mailbox. 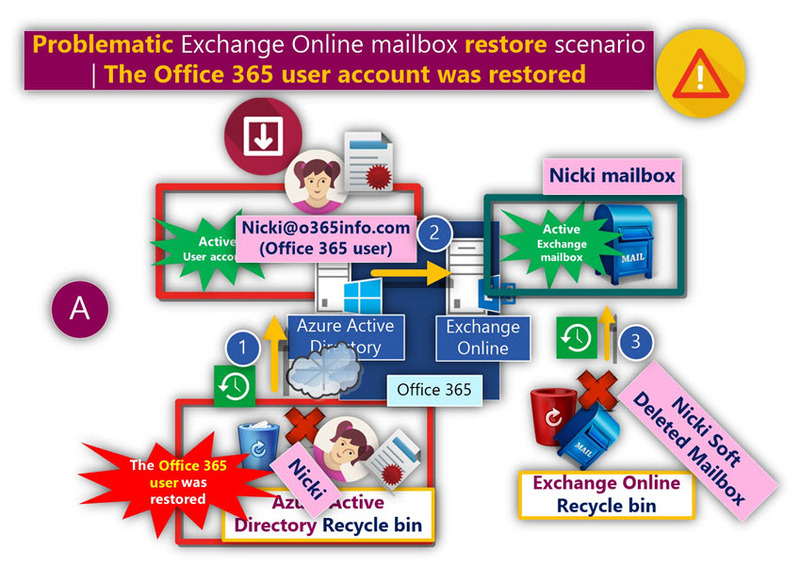 Even if we restore again Nicki Soft Deleted Office 365 user account, every three hours, Nicki Office 365 user account and her Exchange Online mailbox will be deleted. 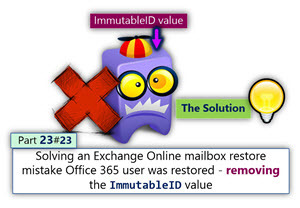 Delete the ImmutableID attribute of the restored Office 365 account. I use the term “Encourage” because, in our scenario, the Soft Match between the NEW Active Directory user account, and the restored Office 365 user account will not occur by default! Step 1#2 – Removing the ImmutableID (sourceAnchor attribute) value of the Office 365 user account. We will access the properties of the restored Office 365 user account (by using PowerShell), and delete the value of the ImmutableID. In this step, all we need to do is – just activate the Directory synchronization process. After a short period, we will see that the status of Nicki Office 365 user account is updated from “In cloud” into a status of – synced with Active Directory. 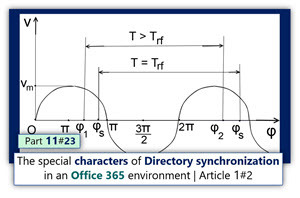 When the Directory synchronization server synchronizes the information about the NEW Active Directory user whom his login name is – [email protected], the Directory Synchronization “notice,” that there is Office 365 user who also uses an identical login name. 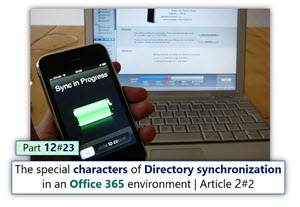 The Directory synchronization process, “understand” that the two user accounts are related to each other, and probably need to be connected. The Directory synchronization will activate the Soft Match process. The term “Hard Match” describes a process in which the GUID value of the NEW Active Directory user account, will be converted and saved as the ImmutableID value of the Nicki Office 365 account. In case that you wonder why we need to implement all this complex step, the answer is that before we remove the ImmutableID value of Nicki Soft Deleted Office 365 user, the Directory synchronization can not activate the process of Soft Match because the Directory synchronization cannot “decide by himself” to remove an existing Office 365 user ImmutableID value. The Nicki Office 365 user account that we want to address, and remove his ImmutableID value considers as Soft Deleted. At the current time, PowerShell does not provide the option of removing the ImmutableID value of a Soft Deleted Office 365 user account (the PowerShell command will display an error). For this reason, we will need to restore again the Nicki Soft Deleted Office 365 user account, and only then, use the required PowerShell command that will remove the ImmutableID value. Implementing the solution of – Encourage a Soft Match process by removing the ImmutableID value of the Office 365 user account. 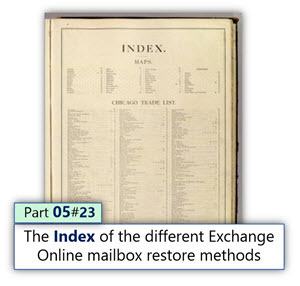 Step 3#3 – Fixing the Exchange Online mailbox restore mistake – remove the ImmutableID value of the Office 365 user account and activate the Directory synchronization process. In the following screenshot, we can see that Nicki Office 365 user account that considers as “synchronized Office 365 user account.” We can see that the Sync Type status of Nicki is – synced with Active Directory. 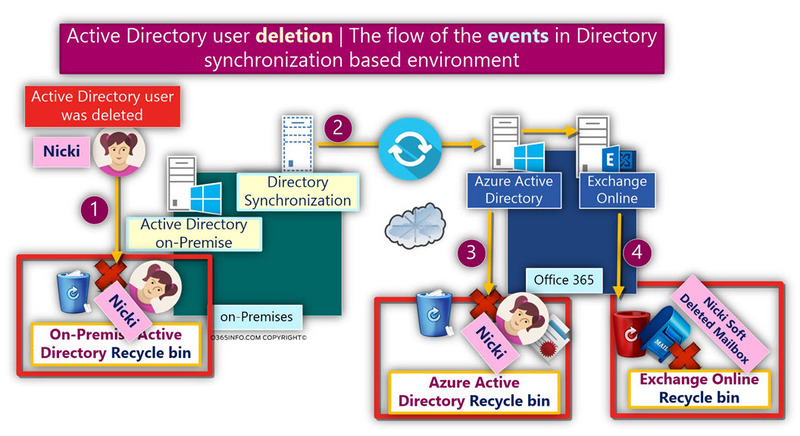 Nicki On-Premise Active Directory user account deleted, and the information synchronized by the Directory synchronization server (Azure AD Connect) to the Office 365 Directory (Azure Active Directory). The result is, that the Nicki Office 365 user account that “bound” to the Nicki deleted On-Premise Active Directory user account,” also deleted. When Nicki Office 365 user account deleted, the Exchange Online license that assigned to Nicki Office 365 user account, removed (deleted). 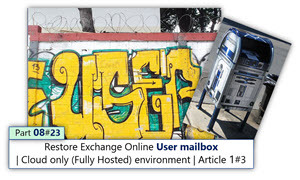 When Exchange Online gets the information about the fact that the Nicki Exchange Online license removed, Exchange Online deletes the Nicki Exchange Online mailbox. 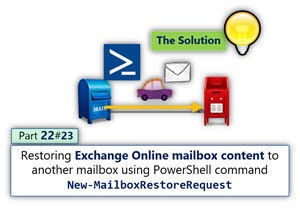 In this section, we will simulate the “Exchange Online mailbox restores mistake” that implemented by the Administrator. 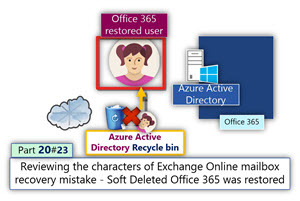 Instead of using the “right restore process,” in which Nicki Soft Deleted On-Premise Active Directory was supposed to be restored, the Administrator access Office 365 admin center, and restore Nicki Office 365 Soft Deleted user account. The restoring process is successfully completed, but we should note, a very important piece of information – the Sync Type status of Nicki changed to “In cloud”. In simple words, the “binding” between Nicki Office 365 user account and Nicki Active Directory user account (that deleted) is “cut off”. Another important thing that we cannot see in the Office 365 admin center graphic interface is, that the ImmutableID value of Nicki was not deleted. Later, we will see how this issue affects us. The Administrator activates the Directory synchronization process and synchronize the information about the “recovered” Nicki On-Premise Active Directory user account to – Office 365 Directory (Azure Active Directory). When looking at the Directory synchronization log, we can see information about a “problem” in the synchronization process. The Directory synchronization reports about an error that defined as “AttributeValueMustBeUnique”. 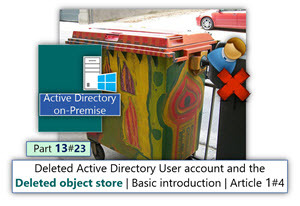 The “action” that the Directory synchronization process performs is a deletion of the Office 365 user account. I’m not sure that I agree with this logic. I assume that the Directory synchronization “logic” is that if he locates an “orphan Office 365 user account,” that have ImmutableID value, but he is not connected to existing On-Premise Active Directory user account, the “Office 365 object” needs to be deleted. Unable to update this object because the following attributes associated with this object have values that may already associate with another object in your local directory services: [UserPrincipalName [email protected];]. 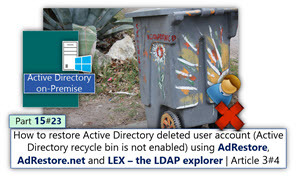 Correct or remove the duplicate values in your local directory. Please refer to http://support.microsoft.com/kb/2647098 for more information on identifying objects with duplicate attribute values. When we use the Office 365 admin center to verify the status of Nicki Office 365 user account, we can see that Nicki’s user account deleted! To enable the required “binding” between Nicki Active Directory user account and Nicki Office 365 user account, we will “encourage” the Directory Synchronization Soft Match process by removing the ImmutableID value of Nicki Office 365 user account. In the first step, we would like to verify what is the status of Nicki ImmutableID value. 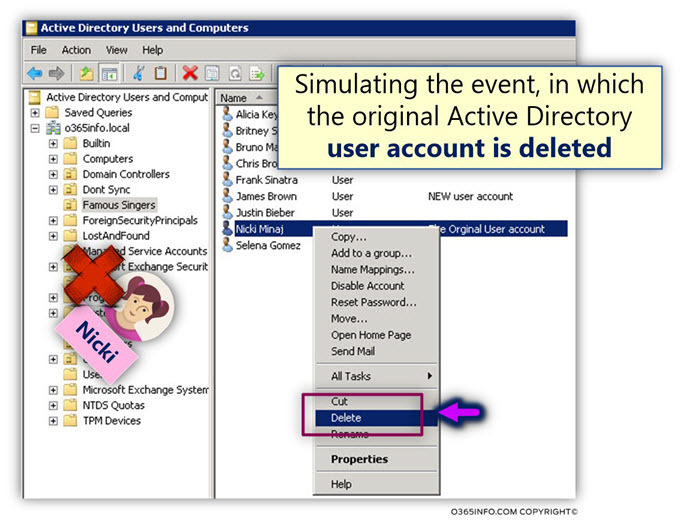 Notice that we use the parameter “ReturnDeletedUsers” because Nicki Office 365 user account is Soft Deleted. 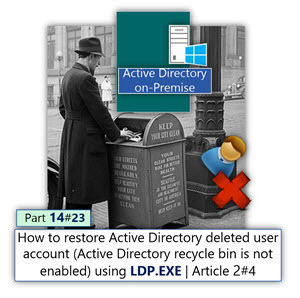 In other words – located in the Azure Active Directory recycle bin. To be able to address Soft Deleted object, we will need to use the parameter – “ReturnDeletedUsers”. In the next step, we will try to remove Nicki ImmutableID value. Set-MSOLUser -ReturnDeletedUsers -UserPrincipalName Nicki@o365info.com -ImmutableID ""
Set-MsolUser : A parameter cannot be found that matches parameter name ‘ReturnDeletedUsers’. The meaning of this error is that is, that we cannot update the ImmutableID value of a Soft Deleted Office 365 user account. 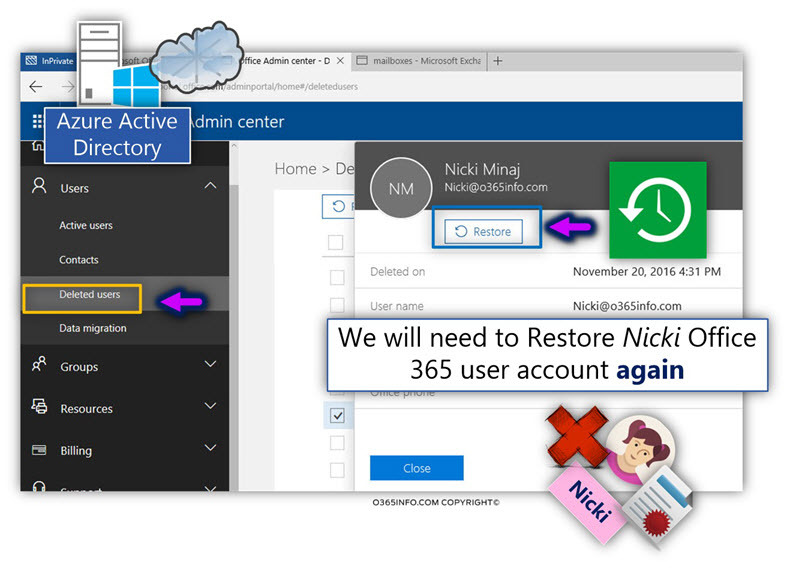 To be able to continue with the process, we will need to restore again Nicki Soft Deleted Office 365 user account. Set-MSOLUser -UserPrincipalName Nicki@o365info.com -ImmutableID ""
In the following screenshot, we can see that Nicki ImmutableID value is empty. This is the required result! In this step, we will initialize the Directory synchronization process. Theoretically, we can initialize the standard “delta” Directory synchronization process, which will synchronize only the updates. From my experience, initializing, the standard “delta” Directory synchronization process doesn’t complete the process successfully all the time. For this reason, I recommend using the “Full synchronization” option. In the following screenshot, we can see, that Directory synchronization processes complete successfully. 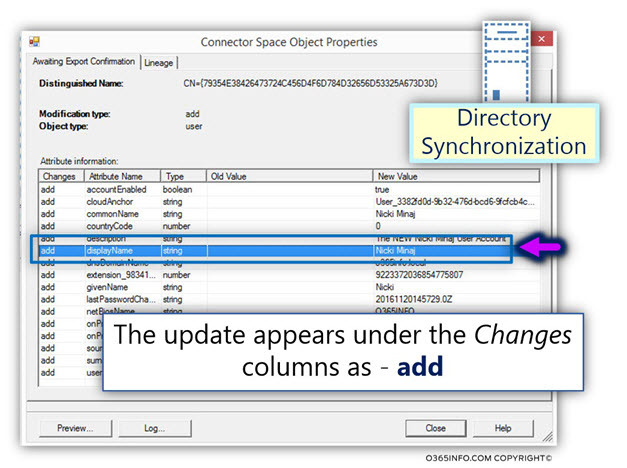 Directory synchronization defines the process as “Adds”. When looking at the event properties, we can see that the information about Nicki On-Premise Active Directory user account “added” to Office 365 Directory (Azure Active Directory). 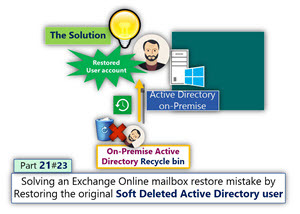 In the current article, we provide the step by step instructions, for resolving a typical Exchange Online mailbox restore mistake, in Office 365 Directory synchronization environment.The Mailbox restore mistake is realized by – restoring Soft Deleted Office 365 user account, instead of restoring the original Soft Deleted On-Premise Active Directory user account. The proposed solution – is based on a concept of – “Encourage” the Directory Synchronization SOFT Match process by deleting the Office 365 user ImmutableID value.